Ebenezer Zane founded Zanesville in 1800. The village was located at the junction of the Licking River with the Muskingum River. Zane had built a ferry service at this place for people traveling along the frontier road known as Zane's Trace. By the War of 1812, the town had approximately 1,400 people. 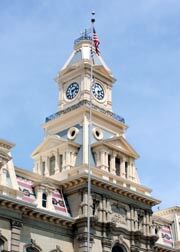 It became the Muskingum County seat in 1804. In 1810, Zanesville replaced Chillicothe as Ohio's capital city. The main reason for this change was an attempt by Democratic-Republicans in Ohio to solidify their control over eastern Ohio. The capital remained in Zanesville for two years and returned to Chillicothe in 1812. A new state capital was established in Columbus in 1812. Putnam is one of the oldest settlements in the state of Ohio, established around 1800 and was annexed into Zanesville in 1872. The town's residents and institutions played an important role in the Underground Railroad and in Ohio's debate about the abolition of slavery. Putnam was home to prominent abolitionists as well as the location of two conventions of the Ohio Abolition Society. The Putnam Historic District is roughly bounded by Muskingum Ave., Van Buren St., and the Penn-Central Railroad. Zanesville's most important industry during the second half of the nineteenth century was the manufacturing of art pottery. Samuel A. Weller became the areas most important manufacturers. By 1905, more than five hundred workers were employed in Weller's plant. These workers produced three boxcars full of pottery every day and made Weller the largest manufacturer of pottery in the world by the 1910s. The Muskingum River valley has provided clay for pottery for 100s of years. The ceramics industry reached its height in the early 20th Century. Manufacturers such as Roseville, Shawnee, Hull, McCoy and Well were extremely popular and today, these pieces are highly collectile. The National Ceramic Museum and Heritage Center in Crooksville, located just beyond the Muskingum County line, contains exhibits devoted to the history of pottery in easter Ohio. Along the National Road is the famous "Y" Bridge in Zanesville and is one of Zanesville's most famous landmarks. This bridge is still in use today, although it has gone through five versions since it was first built in the early 1800s. The Y Bridge crosses 2 rivers: Muskingum and Licking Rivers. The current bridge replicates the 1902 bridge that was badly damaged during the Ohio flood of 1913. Follow the markers for a wonderful view of the bridge and Zanesville from an overlook park. Prior to the Civil War, Zanesville and Putnam were two communities separated by the Muskingum River with each community having two completely different moral views on the issue of slavery. Zanesville residents were decidedly pro-slavery and Putnam residents were anti-slavery. In Putnam, many residents took part in the migration of fleeing slaves on the Underground Railroad. Several former slaves settled down in Putnam, and one slave, Nelson T. Gant, became a millionaire. The Zanesville Welcome Center, located at 205 N. Fifth Street, has a great selection of pamphlets and brochures about local attractions as well as friendly and helpful people willing to answer virtually any question you have about Zanesville. The Dr. Increase Mathews House is the oldest house in Zanesville. Built in 1805 and located in the Putnam Historic District, the Museum has a gift shop featuring various items, historic room settings, and many other various types of antiques. The house is also the home of the Pioneer & Historical Society of Muskingum County, founded in 1890. The Stone House was built in 1809 to lure the state capitol away from Chillicothe. When Zanesville was chosen as the state capital, the building was used for public functions and as a school house, but not the capitol building. The Stone House features exhibits of local historic documents, period clothing, fine art, furniture and special exhibits. The Stone Academy held two meetings of the Ohio Abolition Society. Noted abolitionist Theodore D. Weld was speaking at the Stone Academy in preparation for the first of these conventions when a mob of anti-abolition residents of neighboring Zanesville broke up the meeting. 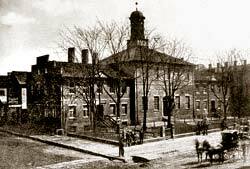 The Stone Academy was attacked again during the 1839 convention, and 200 anti-abolitionists intending to burn all of Putnam were met by 70 Putnam residents at the entrance to their community. Further violence was averted by the arrest of some of the instigators. The Putnam Underground Railroad Education Center opened to the public in 2004 in a single family residence built in the 1830s. The educational center and museum features artifacts from Africa, Civil War era artifacts, an extensive library on the Underground Railroad and the Abolitionist movement. Nelson Gant was one of Zanesville's most prominent African Americans. Born into slavery in 1821, Gant was granted his freedom through the execution of John Nixon's will, his owner. Gant was not only given his freedom, but also provided some money for resettlement. Although he remained in Virginia for a number of years trying to purchase his wife. When those initial efforts failed, Gant moved to Zanesville where a number of freed slaves lived. Gant became active in the Underground Railroad and helped many former slaves. Still trying to gain the freedom of his wife, Gant returned to Virginia and was arrested. Eventually, through the help of local Quakers, Gant and his wife Maria gained their freedom and both returned to Zanesville. Gant became an innovative farmer and successful businessman, owned a coal mine and became a leader in the African Methodist Episcopal Church. This restored mansion was built in 1900 by William D. Schultz and given as a wedding gift to his bride, Ethel Granger Schultz. Consists of 26 rooms, five baths and eight fireplaces. Walled garden encloses the beautifully landscaped grounds and a spacious carriage house is nestled in the rear, complete with groomsman quarters. Perfect setting for meetings, parties, banquets and tours. Docked at Zane's Landing Park at the west end of Market Street is the 104' Lorena Sternwheeler that takes excursions up and down the Muskingum River. The nostalgic riverboat offers special dinner cruises, lunch cruises and twilight cruises as well as public rides periodically throughout the warmer months. Check for times, dates and costs by calling 800-246-6303. A small park along the east bank of the Muskingum River is home to the Lorena Sternwheeler. More notable is the Eternal Flame dedicated to Medal of Honor recipients across the country. 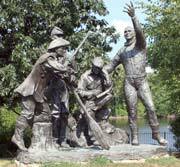 There are several memorials in the park, the most noticeable one is the statue that pays tribute to the 4 people who were most important in Zanesville's rich history: John McIntire, Noah Norris, Zane Grey and John Glenn. John Glenn, Jr: astronaut and first American to orbit the earth as well as a 4-term senator from Ohio. This is the only museum along the entire National Road constructed as a depository of information about the road. The museum also features Zane Grey, the famous Zanesville western story writer. 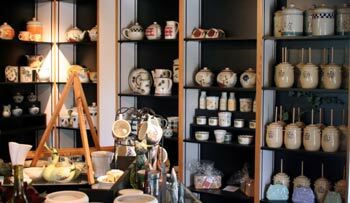 Also included in the museum is an exhibit of the Zanesville pottery industry. Tours of the historic site include a 20-minute award-winning movie, narrated by Hugh Downs. Actors in costume greet you at the door and take you through the house as though it was 1944. The actors portray one of five different characters: John's father, his mother, a male or female college student who is renting a room from the Glenns or a teenage neighbor boy. In 1944, John Glenn is at war in the South Pacific. Displays include a 1/3 scale model of the Friendship 7 space capsule in which John Glenn took his historic flight in 1962, the jumpsuit he wore after he got out of the capsule, and some of his military uniforms. Muskingum County is located about 50 miles east of Columbus. The name Muskingum comes from an old Delaware Indian word meaning "a town by the river". Muskingum County is home to 3 state parks, several city parks and athletic facilities that offer recreation for the entire family. In addition, the Zanes Landing Park has a 3.5-mile walk/bike path along the Muskingum River that connects to Riverside Park, which has soccer, softball, and tennis facilities as well as an oversized, community built playground named Kidzville. 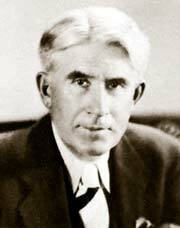 Zane Grey (January 31, 1872 – October 23, 1939) was an American author best known for his popular adventure novels and pulp fiction that presented an idealized image of the rugged Old West. As of June 2007, the Internet Movie Database credits Grey with 110 films, one TV episode, and one entire TV Series based on his novels and stories. Pearl Zane Gray was born in 1872 in Zanesville, Ohio. He was one of five children born to Lewis M. Gray, a dentist, and his wife, Alice "Allie" Josephine Zane, whose Quaker ancestor Robert Zane came to America in 1673. Zane Grey would later drop his first name; his family later changed the spelling of their last name also to Grey. Growing up in Zanesville, a city founded by a maternal ancestor Ebenezer Zane, a Revolutionary War patriot, he developed interests in fishing, baseball and writing, all which would later contribute to his acclaim.